We are truly glad to see you today! No matter how complex the problem your family may be dealing with now, having been tried by Fire, we at Family First know that if you keep your priority on allowing God to Minister to your Family First, you can and will make it. If you live in the Appleton Wisconsin area and do not belong to a BIBLE based church, stop by and visit, we promise you will be glad you did. Parking is available in the parking lot off W. Harris Street and N. Oneida Street (behind the Mission Church). 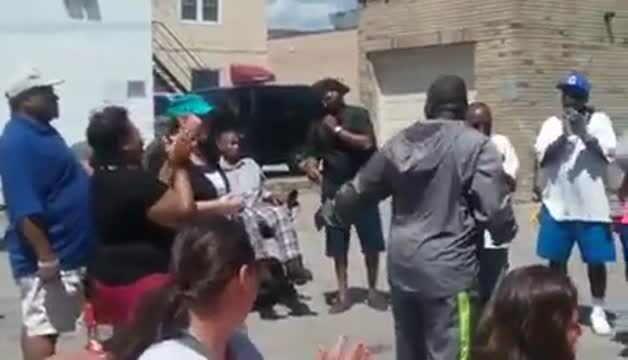 One of our members remembered being in a position with no where to go on the 4th of July and here we are today with the help of the body of Christ showing the Love of Jesus to those who need it the most Outside the four walls. 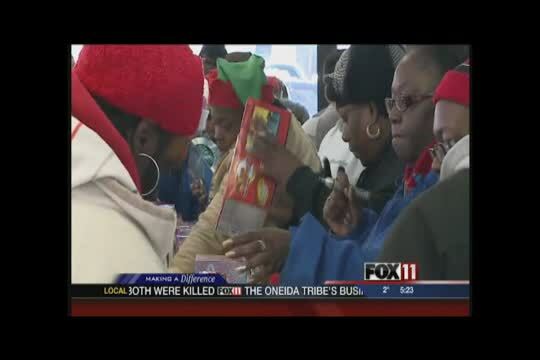 We hand out toys on Christmas Eve at the downtown bus station. We bless families that would not have not only with toys and gifts for their children but with pray and spread the hope of God. We need your help and support to reach more souls in this community! You can either make a quick donation by clicking the "Donate" button below or go to our Support/Sponsorship page. Check out our Testimonies page for more stories how the Living Forgiven Counseling program has changed people's lives. Join us Mondays through Fridays on the prayer line at 6:00 a.m. Call (857); access code is 493432. Please join us every Monday through Friday in the upper level at noon for prayer. For more details, please see the Prayer page under Ministries.